You may have heard about the changes that are coming to Facebook, but perhaps less newsworthy information is that Google+ began rolling out new updates this week which may affect the look of your profile. 1. Profile photo moved from right side to left side and is now a circle. 2. Cover photo got bigger! It’s recommended that new cover photos be a maximum size of 2120px x 1192 px and display in 16×9 when expanded. 4. The Local tab also gets an upgrade with more personal restaurants that include reviews, recommendations and ratings from people in your circles. What do you think of the new changes? 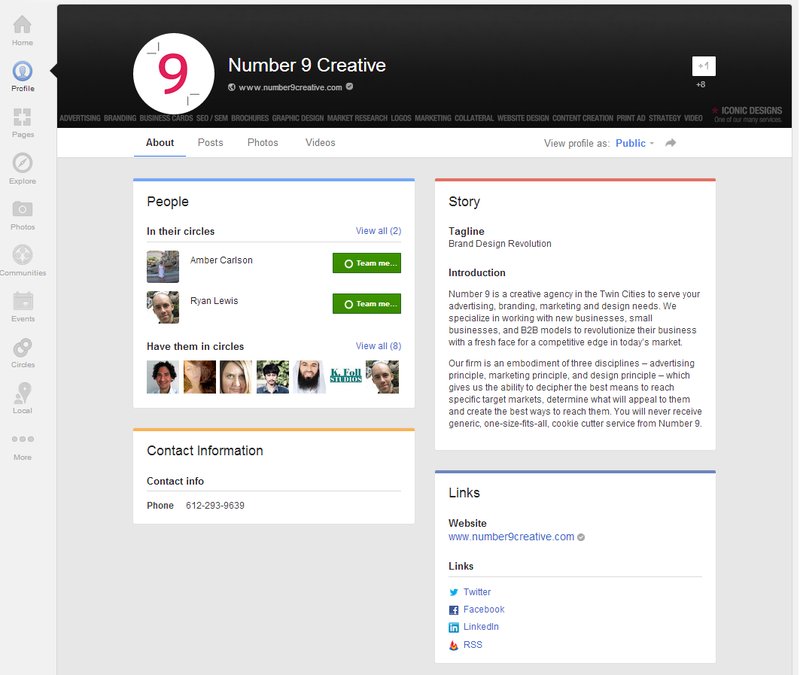 There definitely is a lot of work, and potential, to utilize the new real estate of the updated Google+ cover photo. Let us know with a comment! Be sure to use the social media buttons below to share this with your nearest and dearest.